1. 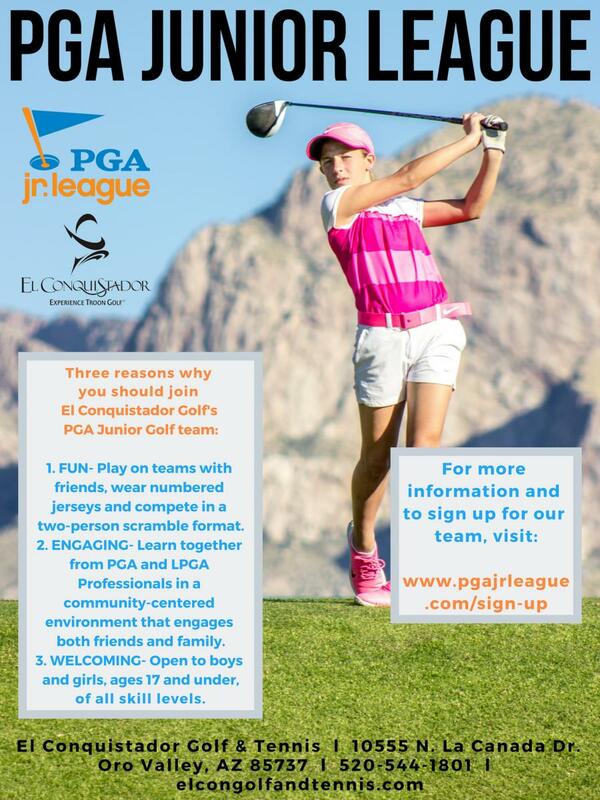 FUN- Play on teams with friends, wear numbered jerseys and compete in a two-person scramble format. 2. ENGAGING- Learn together from PGA and LPGA Professionals in a community-centered environment that engages both friends and family. 3. WELCOMING- Open to boys and girls, ages 17 and under, of all skill levels.